Perhaps we can look back to when Google announced their innovative Chromebook that caused maybe a rustle, if you'd call it that? Yeah, fine, it was a flop. The specs were weak, and the price point was too high. The idea of having a completely Cloud-powered laptop was appealing when the Internet was all abuzz with excitement, but once they arrived at your doorstep and you set it all up, it was simply underwhelming. 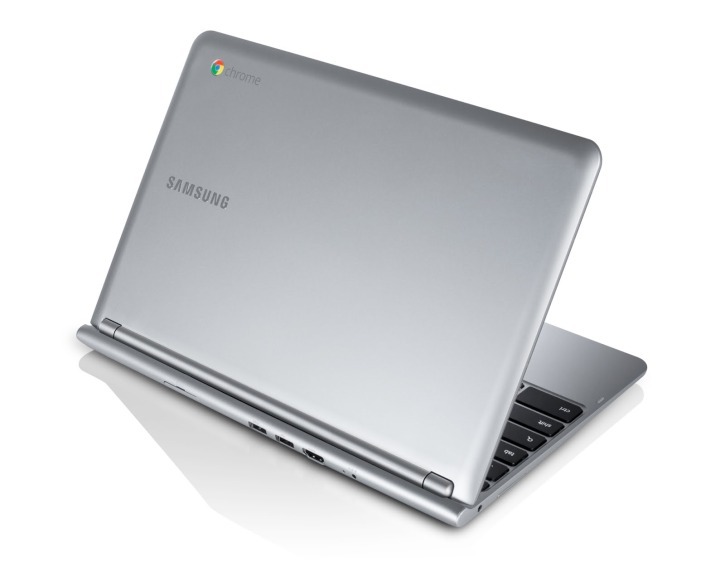 Now, Google and Samsung recollected themselves and decided to try their hand again with their brand new ARM-based processor Chromebook. You guys said the price just didn't justify the purchase? How about now? They're coming in at a much easier-to-swallow $249. Don't let this ARM processor turn you off though. Not only does it significantly drop the price tag, but it is supposedly a much better ARM chip than we've seen before. They call it the Exynos 5 Dual processor that will utilize ARM's brand new Cortex-A15 architecture. Lowered the price and stuffed in more power, Google just might have something going for them. Features an 11.6-inch screen, 16GB of on-board storage and 2GB of RAM, there really isn't any significant upgrades here. However, Google is throwing in 100GB of Google Drive storage for two years with the purchase of any Chromebook. With all the latest tech announcements and releases, I don't even know what to buy anymore. If you just want everything to be the latest and greatest, you can head on over to official Chromebook preorder page here or just wait until Monday for them to get to your local retailer.